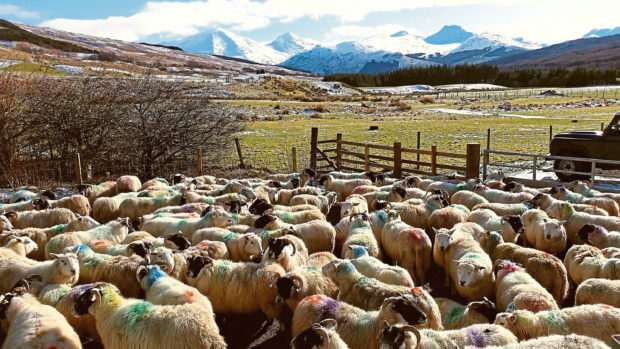 Scotland’s Rural College (SRUC) is planning a major upgrade of its Hill and Mountain Research Centre, based at Kirkton and Auchtertyre Farms in the Loch Lomond and Trossachs National Park. Driven by growing demands at the centre for teaching, tourism, research and events, SRUC is to create new space for up to 50 people by 2022, while also enhancing the site with digital teaching technology, faster internet and better facilities. Located within the college’s 2,200-hectare Highland estate, the centre already has accommodation, a small events space and a farm shop, and is used for studying economically, environmentally and socially sustainable upland management systems. After the upgrade, it will have a new digital classroom and increased space for researchers to use in knowledge transfer activities. There will also be room for community groups, external partners and SRUC Consulting. It is part of the SRUC’s £35 million plan for the improvement of its south and west area faculties.